Iran's army chief told the United States that a US aircraft carrier which left the area because of Iranian naval exercises should not return to the Gulf, the state news agency reported on Tuesday. "Iran will not repeat its warning ... the enemy’s carrier has been moved to the Sea of Oman because of our drill. I recommend and emphasize to the American carrier not to return to the Persian Gulf," Ataollah Salehi told IRNA. "I advise, recommend and warn them (the Americans) over the return of this carrier to the Persian Gulf because we are not in the habit of warning more than once," the semi-official Fars news agency quoted Salehi as saying. Salehi did not name the aircraft carrier or give details of the action Iran might take if it returned. 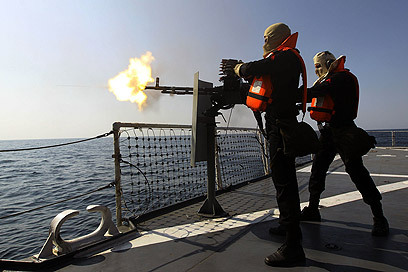 Iran completed 10 days of naval exercises in the Gulf on Monday, and said during the drills that if foreign powers imposed sanctions on its crude exports it could shut the Strait of Hormuz, through which 40 percent of the world's traded oil is shipped. The US Fifth Fleet, which is based in Bahrain, said it would not allow shipping to be disrupted in the strait. Iran said on Monday it had successfully test-fired two long-range missiles during its naval drill, flexing its military muscle in the face of mounting Western pressure over its controversial nuclear program. Iran also said it had no intention of closing the Strait of Hormuz but had carried out "mock" exercises on shutting the strategic waterway. 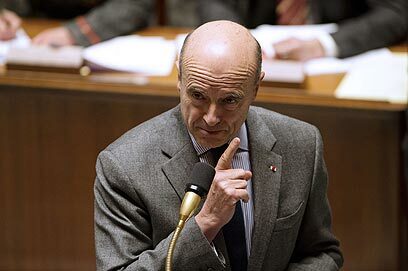 Meanwhile, French Foreign Minister Alain Juppe said on Tuesday that Iran was continuing to develop nuclear weapons and called for stronger sanctions against Tehran. "Iran is pursuing the development of its nuclear arms, I have no doubt about it," he told French television I-Tele. "The last report by the International Atomic Energy Agency is quite explicit on this point." See all talkbacks "Report: Iran tells departed US carrier to 'stay out' of Persian Gulf'"